Young children absorb the essence and form of everything they see. My 3 year old daughter is so taken by everything she sees, that she immediately wants to pretend to be the object or person she just encountered. Children learn sensorally from their immediate surroundings. They soak it all in on multiple levels and absorb their impressions directly into their beings. These early impressions shape the way they come to understand and view the world. For this reason, we must make a concerted effort to use discernment with the things we expose our children to. The optimum environment for their development is within the immediacy of the family and the home, where they can touch, play and discover the world with their own hands an within a nurturing safe place. They need to hear the natural sounds in your home and play and climb and get attuned to their immediate environments. We have been wrongly taught that children need to be constantly entertained, that more is more, and that the sooner they can learn the better, but things have spun out of control. We need to get back to basics, back to the essentials, back to nature. We have to strip away all the layers of illusion, and beliefs and fear and listen to our hearts when it comes to what is best for our young children. They are bright new little angels, so impressionable, we must take good care and protect their innocence, their childhood. Times are moving so fast, children are young adults, they are exposed to so much and are developing so young. As parents, we are their guardians, and our job is to protect and nourish their development. We need to go our own way, listen to our inner knowing and create a new reality for them. The most important thing we can hope for our children is they feel connected to source and grounded in a strong sense of self for who they uniquely are. Isn’t this what every parent would hope for their child? Isn’t this what we hope for ourselves? But how do we do this? We must begin by simplyfing, we must get back to basics. Cut out the extraneous, keep it simple. 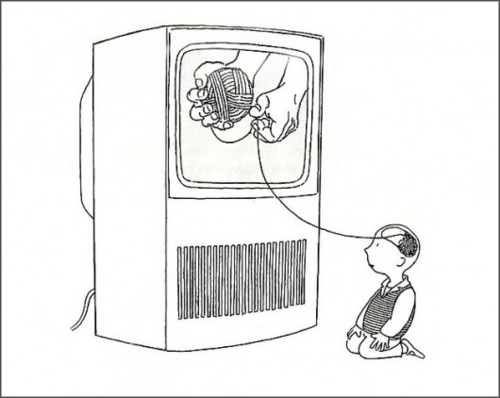 When you expose your child to watching a program you are allowing their heads to be filled with information and ideas that are not natural to their immediate environment. It’s like allowing a stranger to come into your home and teach your child how to perceive the world. When children are just beginning to grow and develop, they are like sponges, they learn from what they see. That’s why we must take care to be extra careful with the amount and quality of media exposure. And regardless of what kind of show it is, shows created for children inherently prescribe attitudes about how the world is and how we should be and act. Oftentimes, I find a lot of characters behave sterotypically bratty, and I notice behavioral patterns reinforced that are not truly evolved. Why are we perpetuating old models and ways of being when we can instead make space for our children to develop in new more authentic ways? And then there are the staggering statistics about the number of hours children spend in front of a screen per day, not to mention the research of how it has affected our children developmentally when it comes to natural ways of learning. There’s a lot to be said for taking this into consideration, for times are changing fast, faster than you have realized and we must become more aware and conscious in the choices we make for our children. It’s easiest to begin when your children are young. I really do know how tempting it is and how it can just be such a help when you have things to tend to and need to get a little break, but in the long run, it will pay off. They will be fine, they don’t need any show, and in the long run you will be better off too! For when you make the effort to create the space to allow your child to develop organically, they learn to develop their imagination and will spend hours engaged in creative playing on their own and you will get the time you will need! It’s hard to imagine but it’s true. When you are not constantly filling up their space with things to “entertain” them, they will reach that space where they will feel “bored.” They will hit that wall and they will move through it! For out of boredom a new idea eventually arises and is born. We cannot fill time with constant distractions. They must learn to abide in their own selves and learn to use their imagination, their brilliant minds, to imagine possibilities and endless ideas of fun and play. That is truly the greatest gift you could give your child. Allow him to develop those muscles by creating that space for exploration, without the media dictating his play, his stories. He will create far better stories than any hollywood character could ever personify. It’s really about re-envisioning the way things have been done. Children need to spend time in the home, exploring and playing in their natural environment. If you surround them with open ended toys that can spark their creativity, they become immersed in their world of play, true play, were their imagination takes over and their creative space opens. Open-ended toys are toys that are not defined and therefore can become many things within play. For example Dora will always be Dora, she already has a storyline and persona attached to her as does every other character or media-based toy. A toy that you press and it does something only captures a child’s interest for so long and then it’s function is over. What else to do with it? With open ended toys, they sky’s the limit! A block can become a car, it can become a plane , it can be used to build a castle etc. With play silks, children can play dress up, they can built forts, they can become blankets for their babies, they can become a river, or a snake. The possibilities are endless. Instead of getting your children a bunch of defined toys that “do” things or that are media characters, get them a few open ended toys you will create the space for their creativity and imagination to thrive. Fewer resources force you to get creative, to learn to make something out of nothing, to problem solve. These are the skills you want your child to develop. True intelligence is not the regurgitation of information, true intelligence is about being able to think creatively and develop solutions. So like in keeping with Whitman’s quote, be mindful of the objects you surround your child with. Stick with a few simple, open ended toys and watch them become what their imagination and spirit dictates. Allow your child to spend time playing in the home, and try to create a home rhythm for your family. By rhythm, I mean consistency such as after lunch, book, song, then nap. Children need rhythm in their lives because it gives them a sense of security. When they can know what to expect within their day, they feel safe and assured. It doesn’t always have to be exact, the most important thing is that it is sequential and consistent. Another great thing to do is to involve your children in the home rhythms and caring for the home. 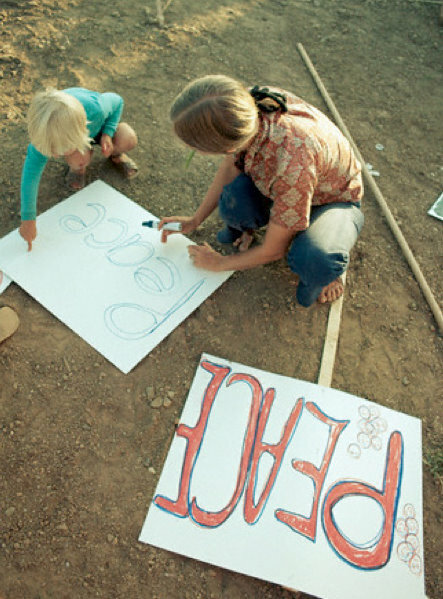 Small children especially love to help and copy everything you do, so you just involve them. If you are sweeping the house for example they can have a little broom and help tidy up to. Whatever you are doing, if you give them a physical task to do, they will be delighted to help and immitate your movements. Remember this is how they learn! All these simple concepts truly changed my life. I went from feeling completely overwhelmed as a new mother, to learning how to create a harmonious home environment and rhythm and space for my child to develop that is actually quite natural and effortless once implimented. These are all Waldorf/Rudoph Steiner concepts but luckily now they are being shared with everyone through a new very popular book called Simplicity Parenting by Kim John Payne and Lisa M. Ross. I highly recommend it, as well as Heaven on Earth by Sharifa Oppenheimer. I encourage you to realize that you have the power to create the optimum space and life you desire for you and your family. Whatever resonates with you, it’s time to follow that calling. We are living in new times and they require us to take new actions than before. Have courage and follow your heart! YES! Thank you for writing this! I VERY often feel so disconnected as a parent since I do not buy into the media, the advertising, and what everyone else is doing. (My daughter does not own a Barbie, has no idea who Dora or any of the Disney princesses are, and none of her clothing or bedding is laced with “characters”.) I never feel badly about it because in my heart of hearts we’re raising our daughter according to our personal values and what we believe to be the best for her. However, I know almost no one in my day to day world who shares the same philosophies with me. Thank you. It is so nice to read this and be re-assured in my efforts. Even though I’m my own worst critic, the heart rings true and reading your website in the calm intentional state of being open, helps very much to remember that trust in myself. I am doing well. I am living present with my child on every situation (minus a few when I’m depleted and frustrated, stressed and overwhelmed) also which those times of “slack” are diminishing with the more introspection and observation I practice. Give thanks mm. I’ve poked around a few readings. In the wisdom section and mamma section. Do it kinda frequently. Always seemed to be drawn to something I “needed to hear”. So grateful. Truly I am. I could not agree more with all of this. Wonderful! It is also so well written. Thank you!